For more details on the DS1 Black and Gold, or to purchase, please click the button below for an external link to the product page on the Sally Salon Services website. Dark Stag’s DS1 thinner is a pure barber thinner. Dark Stag scissors are purpose built for barbering to provide durable and reliable precise hair cutting. The DS1 thinner is no exception. 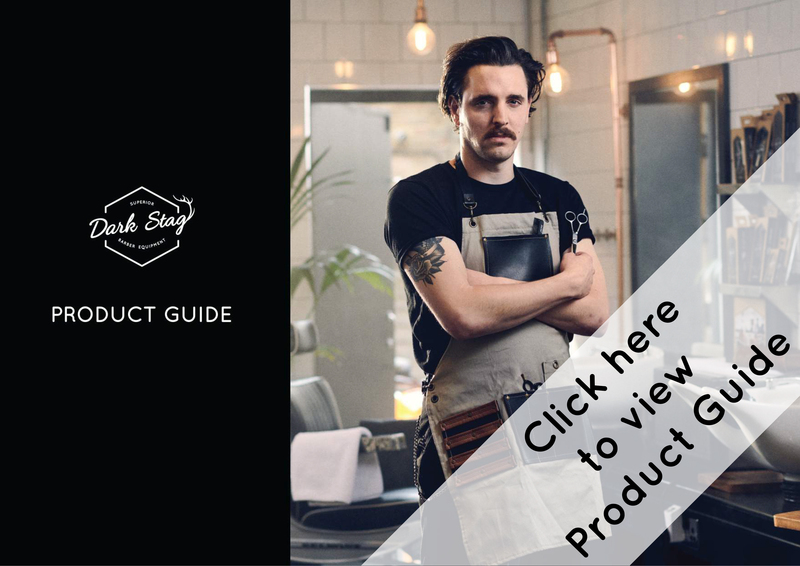 With Dark Stag tools you have control of the hair at your fingertips, give your customer the look they want. These scissors are a must have for every professional barber, and pair exceptionally well with the Dark Stag DS1 Black and Gold barber scissor or the Dark Stag DSO Black and Gold barber scissor. The Dark Stag DS1 Thinner is made with heat treated stainless steel that provides long lasting performance in this medium weight barbers thinner. The scissor is perfectly balanced from point to ring. The inner, thinning teeth are micro serrated, allowing for texturising with a reliable, solid, cutting feel. The blade has 40 teeth. The cutting blade is a beveled edge, which ensure the ultimate cut suitable for chopping work, as well as more advanced techniques. The high performance stainless steel ensures long lasting precision and an effortless reliable feel. The DS1 Thinner blades are also hollow ground, which gives you the precision cuts that you need from your thinners. Our innovative German design screw system provides a smooth feel, whilst also allowing for optimum tension to be chosen. The scissor also has a comfortable finger rest, but it is also removable. The DS1 thinner is designed in the classic straight style, which is very popular with barbers. 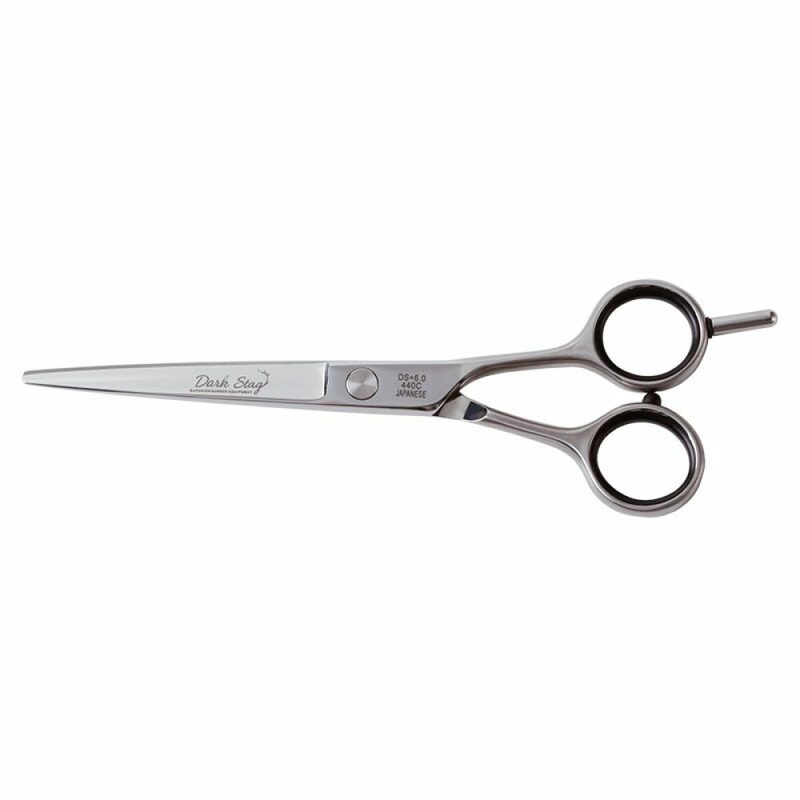 The DS1 thinner scissors can provide many years of quality barbering if well maintained. Regularly clean and oil your scissors and always take your scissors to a qualified, experienced sharpener to increase their longevity. The DS1 thinner is available in 6” in this stylish black and gold finish exclusively from Sally Salon Services website and stores across the UK. For a more natural finish, separate sections of hair with your hands rather than using a comb. Achieves softer ends, and the natural finish can really be emphasised by snipping away at the ends of the hair. Take it easy at first if you are cutting into the mid length shaft of the hair, or it could have too strong of an impact on the existing hairstyle. Be sure to use the texturising scissors on the hair underneath the crown. The layers may end up too short if you thin hair from the top of the crown.